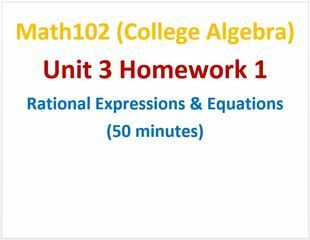 Students will be able to add, subtract, multiply, divide, and simplify rational expressions and solve rational equations on examinations, quizzes, and homework problems. 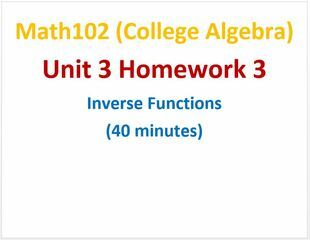 Students will be able to find inverse functions on examinations, quizzes, and homework problems. 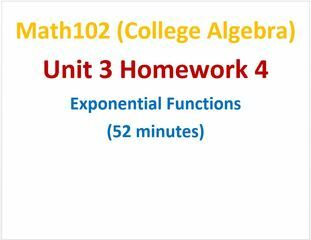 Students will know the basic properties of exponential functions and graph exponential functions on examinations, quizzes, and homework problems. 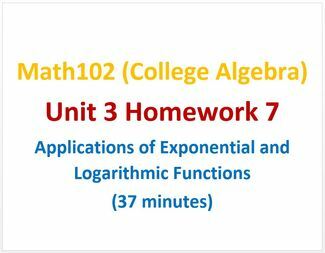 Students will know the basic properties of logarithmic functions and graph logarithmic functions on examinations, quizzes, and homework problems. 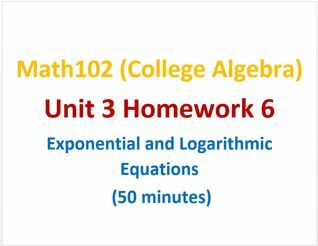 Students will be able to solve exponential and logarithmic equations using the rules of logarithms and exponents on examinations, quizzes, and homework problems. Students will be able to solve a system of two linear equations on examinations, quizzes, and homework problems.